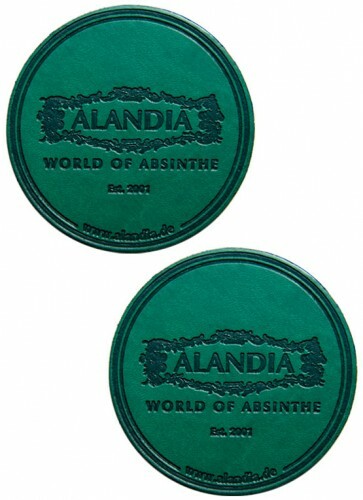 These Absinthe Coasters drive the Absinthe ritual to perfection. They are functionally designed and convince with premium quality. Overall, a beautiful accessory for friends of premium Heure Vertes. 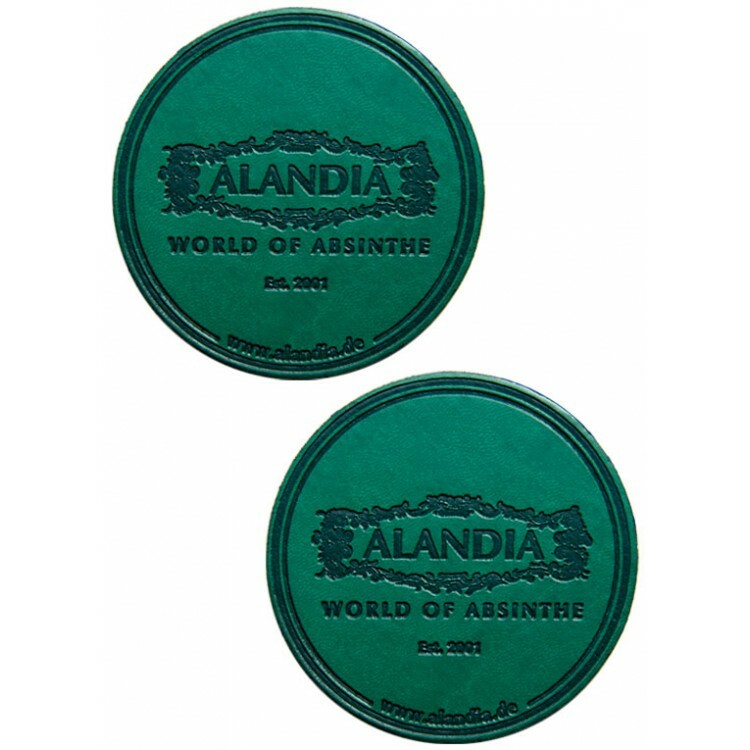 These Absinthe Coasters drive the Absinthe ritual to perfection: They are made of waterproof synthetic leather. This material guarantees long durability, as you can place wet Absinthe spoons or glasses on the material without harming the design. 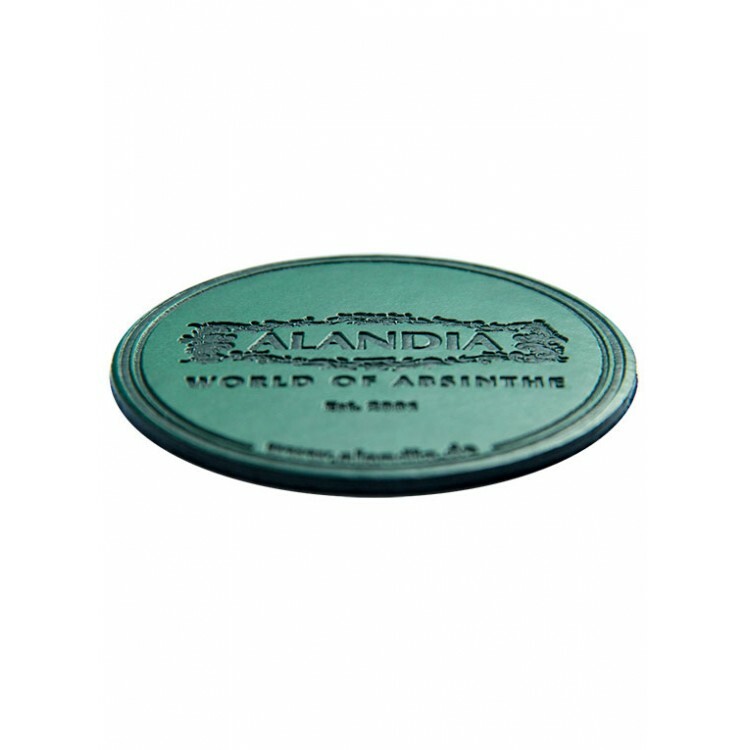 Of course the coasters are made in Absinthes' iconic color, green. On the front side the ALANDIA crest is precisely embossed into the leather. The reverse side of the coaster is cushioned with black velvet. 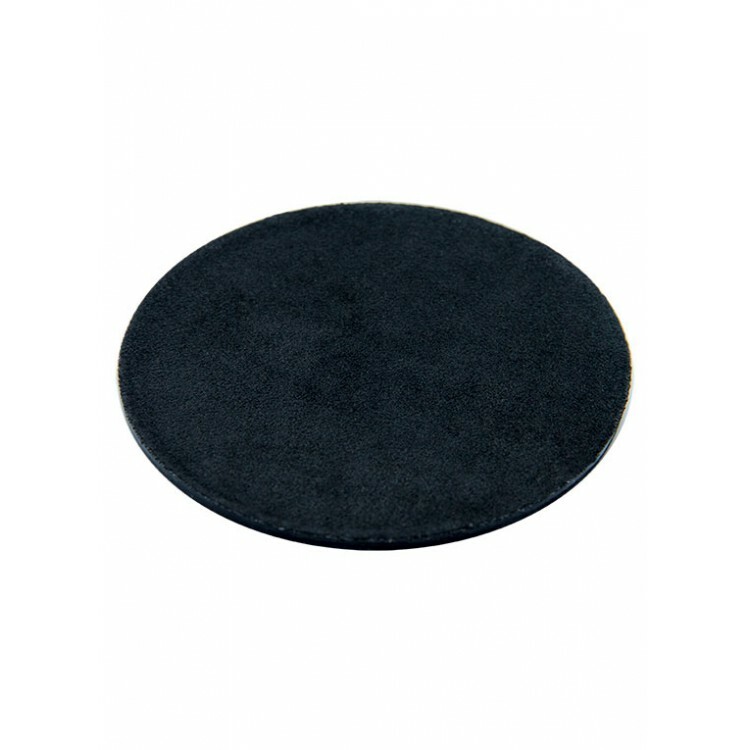 This stabilizes the coaster on any table surface and feels good in your hands. 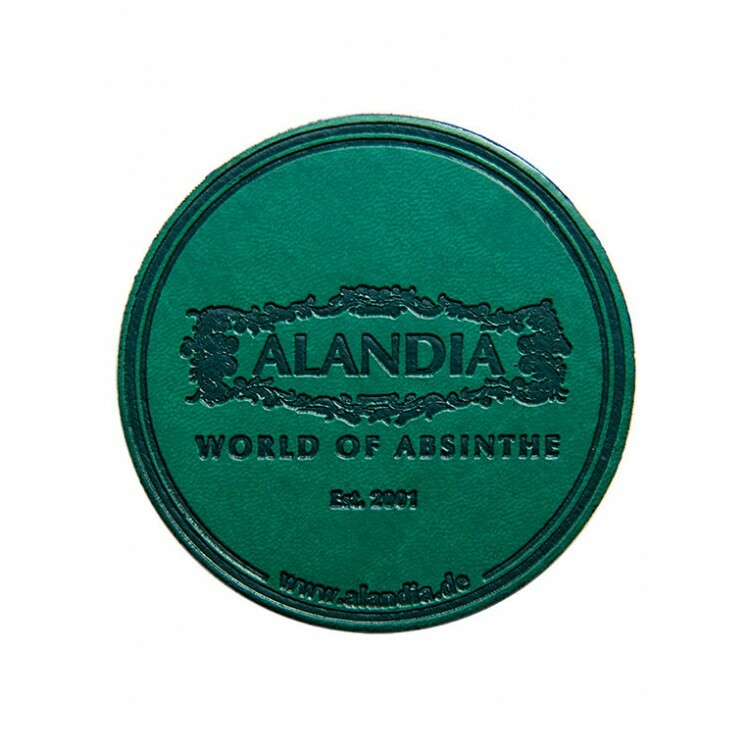 Overall, this Absinthe coaster fascinates with premium craftsmanship and classy design. The coasters are packed in sets of two in an attractive brown paperbag. Therefore they are also perfect as a gift for any lover of premium Heure Vertes! These coasters are a nice addition to the Absinthe ritual. These are very cool, very well made coasters. They come 2 per set and I need to get more.